Trompettiste et chanteur Country US né George Nowlan le 29 Avril 1925 à Dorchester (Massachusetts). 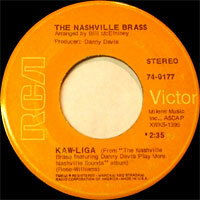 Danny Davis a formé le "Nashville Brass" en 1968. Popularizing the use of brass instruments in the string-dominated world of country music, Danny Davis' work with his Nashville Brass inspired Buck Owens to form the Bakersfield Brass and also influenced the music of Ray Pennington, Buddy Emmons, and Merle Haggard. Born George Nowlan in Dorchester, Massachusetts, he aspired to be a horn player while in high school. He attended the New England Conservatory of Music and at age 14 became a soloist with the Massachusetts All State Symphony Orchestra. The next year, 1940, he joined jazz drummer Gene Krupa's band and played with some of the greatest musicians of the jazz and swing era, including Bobby Byrne, Bob Crosby, and Art Mooney. After leaving Krupa, he joined Vincent Lopez's band at the Astor Hotel in New York. 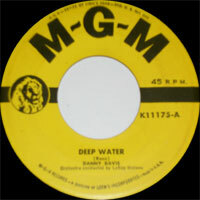 He remained with Lopez for many years, also working with Blue Barron and Sammy Kaye. 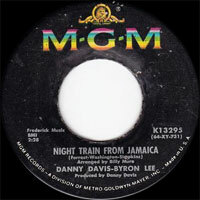 Davis became a record producer in 1958 for Joy and MGM, producing six number one singles for Connie Francis at the latter. While on a trip to Nashville, Davis met Fred Rose and Chet Atkins; Atkins invited Davis to become a production assistant in Nashville and in 1965, Davis became an executive A&R producer (with Atkins) for several years. 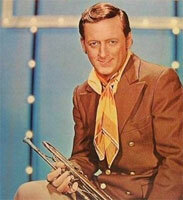 Near the end of the decade, Davis approached Atkins with the idea of adding brass to country music. Atkins gave the go-ahead, and The Nashville Brass were born. Their first album, The Nashville Brass Featuring Danny Davis Play Nashville Sounds, came out in 1968 with little fanfare. The following year, they released More Nashville Sounds, and people began to take notice. A new Grammy category, Best Country Instrumental Performance, was created to accommodate them, and the CMA voted them Instrumental Group or Band of the Year for five years in a row. Since 1969, they have continued to record steadily. 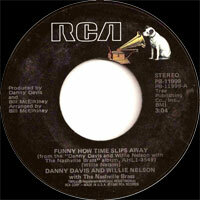 Davis has also collaborated with other country stars; Davis, Atkins, and Floyd Cramer made Chet, Floyd and Danny in 1977, and 1980 witnessed a Nashville Brass/Willie Nelson collaboration album which contained two Top 50 hits, "Night Life" and "Funny How Time Slips Away." 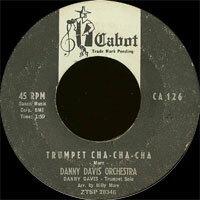 Soon afterwards, Davis left RCA and began recording on Wartrace, his own label. 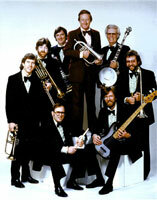 The Nashville Brass continues to play in Las Vegas, Nevada, Branson, Missouri, and on television. 1984 SP WARTRACE WT-727 (US) Cajun Trumpet Man / ? 02/1985 SP WARTRACE WT-730 (US) I Dropped Your Name / ?